Kapferer, Jean. The New Strategic Brand Management Advanced Insights and Strategic Thinking. 5th ed. London: Kogan Page, 2012. Print. Agins, Teri. 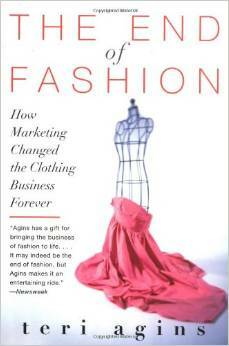 The End of Fashion: How Marketing Changed the Clothing Business Forever. New York: Quill, 2000. Print. Klein, Naomi. No Logo. London: Flamingo, 2001. Print. Rosen, Emanuel. The Anatomy of Buzz, Creating Word-of-Mouth Marketing. London: HarperCollinsPublishers, 2000. Print. 2. "... three reasons for increased importance of buzz: noise, skepticism, and connectivity. 4. The importance of buzz to a business depends on the nature of your product, people you're trying to reach, the tightness of the network of your customers, and on the marketing strategy chosen by the company. The less formal the approach to a marketing strategy, the more important the buzz. Mega-Hubs: ... These individuals have many two-way links like regular hubs, but in addition the have thousands of one-way links with people who listen to their message via mass media. - From whom do your clients or customers typically learn about your product? - What do people say when they recommend your product? - How fast does information about your product spread compared with other products? - Who are the network hubs? - Where does the information hit a roadblock? - How many sources of information does a customer rely on? Which ones are more important? 9. Leapfrogging - creating buzz in several customer cluster simultaneously. - to create conditions for shortcuts to happen by organizing events and inviting people, who are not immediately related to the network of current or potential customers. "- Look beyond the usual suspects... [I]dentify social circles, industry segments, or academic disciplines in which people don't talk about your company, product, or service. Seek them out for seeding. - Reduce the price barrier... Make the product free to a seed customer if possible, or at least as low in price as feasible. Godin, Seth. Tribes. London: Piatkus, 2008. Print. 1. Tribes can have more than 1 leader. 12. Rituals help to tighten tribes.